Self Storage, you lock it and keep the key. We sell high security disc locks if you need a good lock. Manager lives on site to provide eyes and ears for additional security and piece of mind day and night. 24 hour surveillance cameras record activity on the property. Full perimeter fencing for added security. Great lighting at night throughout the property. Chilled or warmed air and dust controlled to keep your stored goods in great condition. Pull your car or truck right up to the door of our garage style units. Keep extra cars, boats or campers in a secure, easily accessible area and make your HOA happy! We have parking spaces available for cars, boats, trailers and small campers. We sell moving boxes, tape, mattress bags and locks to help you with your moving and storage needs. Climate Controlled units are interior and ground level. An additional code entry provides for double security. No stairs or elevators to deal with!! All non-climate units are garage style drive up. Flatbed carts and hand dollies available for use on the property. Our facility is well kept and maintained regularly with scheduled pest control and cleaning. Several large size units are available for autos, business inventory, or contents of up to a 5 bedroom home. Peace of mind with our Add-on storage insurance. No deductible policy with several coverage options to fit your budget, conveniently added to you monthly rent. Easy lease, month to month, pays as you go. Use it monthly for as long as you need. We proudly offer rent discounts for active military, veterans, police, fire, seniors, students and not for profits. Ask manage for details. One less bill to remember each month. We have monthly credit and debit card payment convenience available. 1st of each month. Pay only the remaining days of your first rental month plus a small administration fee.Makes for an easy budget minded move-in. Our admin fee is one of the lowest cost of all storage facilities in the area, just $10. Unit Sizing and Pricing What Size Do I Need? 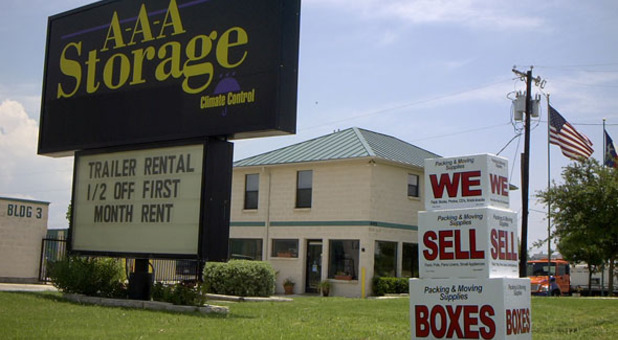 AAA Storage in Pflugerville offers a wide range of options for self storage - mini storage units as well as outside parking. 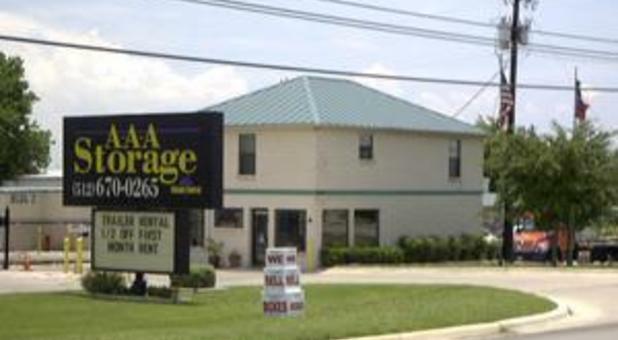 AAA Storage Pflugerville provides quality self storage at affordable prices! 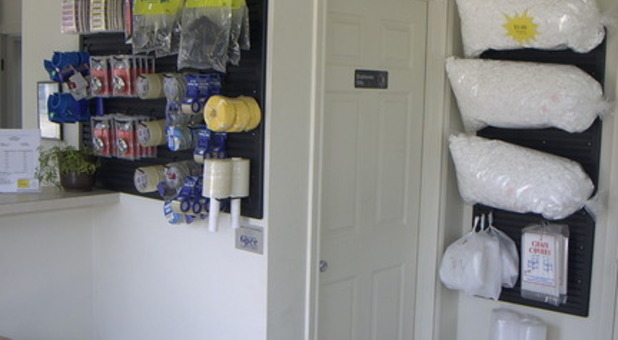 We offer a variety of sizes to meet your storage needs. Our clean modern facility provides everything you want from: from climate control storage, drive up access - garage type storage, vehicle storage, 24 hour surveillance cameras and a friendly on site manager. Located on FM 685 just North of the HEB, we serve Pflugerville and NE Austin and are convenient to Dell, Samsung and entire Pflugerville area. When you store you belongings at AAA Storage, you never have to worry about the safety of your treasured things. We offer 24-hour surveillance cameras and a professional Self Storage manager who lives on site; your items are always under watch of a careful eye with security featuers including cameras recording activity. Our property is fully enclosed with perimeter fencing, with electronic gate access so we can always monitor who is entering and exiting the premises. No matter what you are planning to store the friendly experts at AAA Storage can help you find the right solution for your needs. 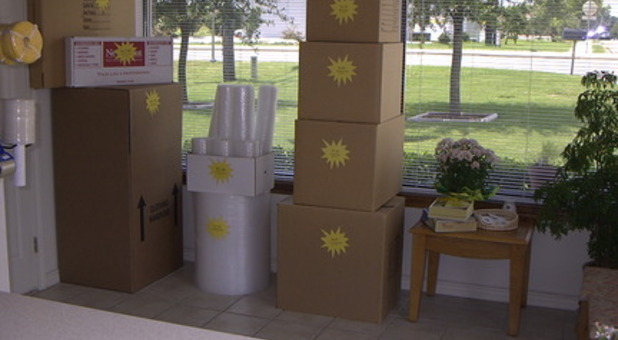 Unsure of what size unit you'll need, or looking for tips aboupt how to store your belongings? Our manager, Mila Hill is knowledgable about all aspects of storage, so feel free to ask her any questions you may have. Take advantage of our no deposit policy and specials discounts for active military, seniors, fire fighters, police, and student discounts. Find all our AAA Storage Facilities in and around Greater Austin, here.